Companies successful at innovation deliberately set aside time to discover – they challenge existing processes, identify trends and completely understand what resources they already have. This approach enables managers to become true leaders within all levels of your company. 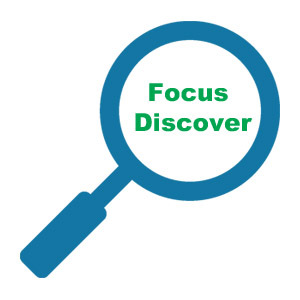 Innovation opportunities can be identified using an internal or external focus. An internal focus concentrates on the under-leveraged ideas that already exist within your organization. An external focus finds existing good ideas and figures out how they can be applied to your own business. Both of these simply require that you and your team take a different perspective on everyday things. You don’t need to be an entrepreneur to find inspiration. Scott Cook developed the idea for personal finance software company Quicken while sitting at his kitchen table watching his wife struggle to balance their personal accounts. Obtaining a different perspective sometimes requires getting out into the real world to meet customers, users, purchasers and influencers. Listening to these people can help construct a feeling for what they value and what problems they want to solve in an easier or better way. While in college in the 1960s, Vernon Hill worked at a bank and made loans to WaWa, 7-Eleven, and McDonald’s franchises. From interacting with these clients, Hill saw that they were completely tied to customer service and convenience, and realized the added value that came with this business model. In 1973 he created Commerce Bank, based on service and convenience, just like the fast-food and convenience stores had done business with. The banks were less like branches, and more like stores – they were open from 7:30 am until 8:00 pm, and later on introduced seven-day banking. Remember, there is always plenty of opportunity to do things differently, if you think about innovation as the “fixing of problems.” Innovation is not only for new products. It can be used to existing business methods, processes, structure and methodologies. Finding elements of your business that are broken can also help identify innovation opportunities. Do you have any big failures? Where did things go wrong? Where are there issues concerning quality, customer relationships or time to market? If you take the time to find and confront your biggest failures, you can discover opportunities for innovation. Do you have any significant threats? Make an assessment of the biggest challenges you might face in six months or 1 year. Where might new competitors come from? What are the latest disruptive technologies? You can also look for any hopeless situations where you are just wasting a lot of time, or doing things that add no value. For example, do you have a sales team that spends more time on administrative tasks rather than selling? Pinpointing your weaknesses can also help identify places for innovation. Where are you shortcomings compared to your competition? Who are you losing business to? What can you do differently to improve your competitiveness? Remember, effective innovations start small.